Kamaindia is pleased to inform you that 2019 aT Trade Delegation is going to take place in Delhi on 03-05-2019. 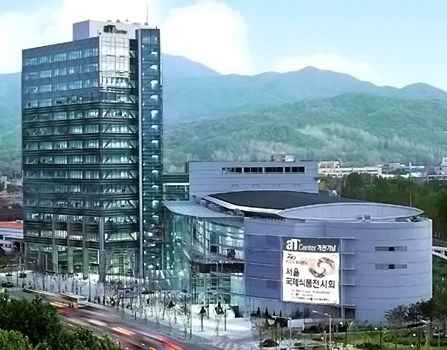 5 formidable Korean companies having the most cutting edge technologies will have their presence this time to showcase themselves in an attempt to have a business with you. This event is hosted by and organised by Ministry of Agriculture, Food and Rural Affairs of Korea and Korea Agro Fisheries And Food Trade Corporation (aT). 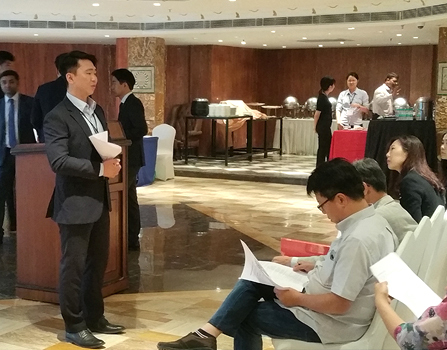 Korean companies are coming to meet Indian buyers who are interested in new technologies and expanding their business. Kamaindia believes that this will open great opportunities to build meaningful business relations between both sides and we would like to invite you for the 1:1 business meeting. aT has made efforts to establish a foundation for the advancement of the agricultural product industry and sustainable growth amid drastically changing environment. Strengthening the Agricultural Product Export System. Innovative improvement is required in complicated distribution stages and distribution cost recurring structure so, aT always enhance distribution efficiency by strengthening direct transactions of agricultural products and increasing scales of systematizing farming households. 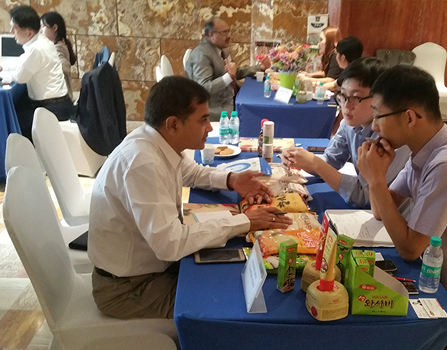 aT also has established a foundation for the development of the Korean food industry through support for food companies, systematization of food industry information, nurturing of professional workforce and so forth. And it does continue to do its best to grow as a public organization loved and trusted by all stakeholders and to create values for the nation and people. The world grain market experienced decrease in supply caused by climate change and increase in demands caused by development of bio alternative energy. aT will do everything possible for stable grain supply to secure domestic staple food.